A number of allusions in this episode are linked to episode 73 “Replika”… For a better understanding, it’s preferable to have seen or read about this episode. Jeremy once again has news to announce in the cafeteria! The brainiac has found a way to materialise the heroes on Earth from a Replika, near the supercomputer generating said Replika! He proposes they test it that very evening. Ulrich is dubious. Yumi is giving him the cold shoulder, and he doesn’t know why. After a brief conversation with Odd, he realises that he forgot to wish her a happy birthday a few days ago. To patch things up, Odd proposes he go buy her a present. Ulrich can’t because Jim gave him four hours of detention. Odd then offers to go in his place. He owes him that much because Ulrich was actually punished for his wrongdoing! The evening comes, Odd gives the gift to Ulrich on the upper floor of the factory. Yumi doesn’t seem willing to say even one word to Ulrich. Virtualised in the Skid, the heroes go to the Forest Sector Replika. Arriving there, they anchor the Skid to a tower which Jeremy activates for their own use. Some bad news is revealed: there is an activated tower on the Replika. 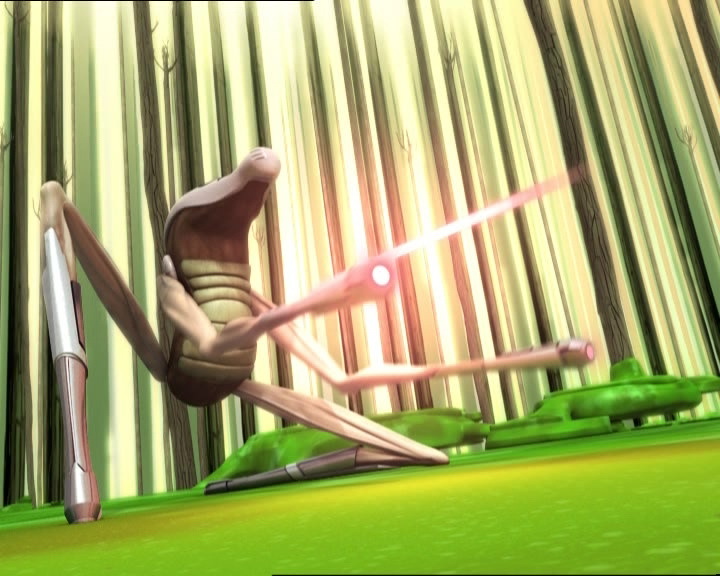 Aelita deduces that XANA has launched an attack not far from the supercomputer generating the Replika the heroes are on. 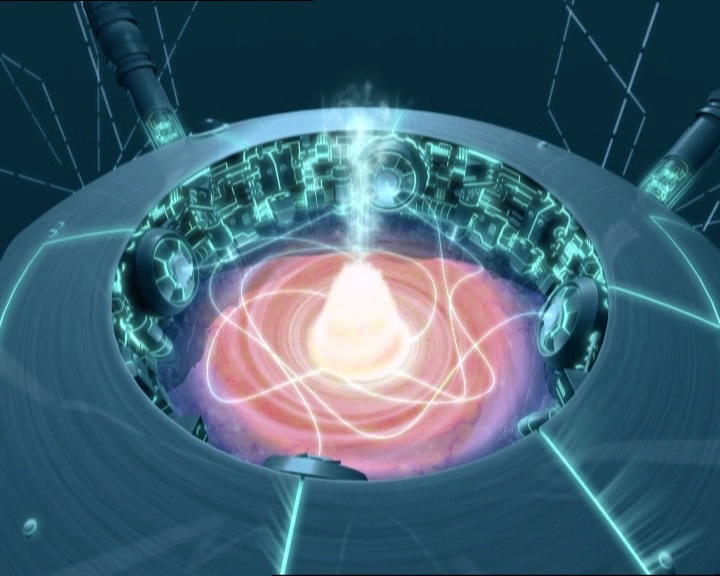 Not wasting any more time, Jeremy launches the Teleportation for just Odd and Aelita: he’d rather Yumi and Ulrich remain with the Skid in case of an attack. 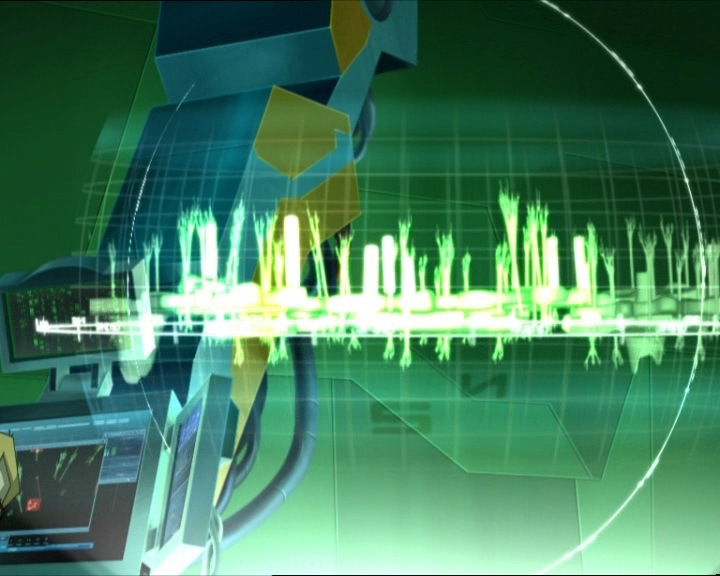 The catboy and Lyoko’s princess discover the effect of this extra special devirtualisation! Not only are they in the middle of the Amazon, but they’ve also kept their virtual forms. They’re actually in the form of spectres right now, similar to one of XANA’s. Odd can now shoot laser arrows with a purple aura, while Aelita can generate fireballs, terrestrial versions of their regular attacks. Not far from them, behind the trees, the two Warriors notice a scientific laboratory. They enter cautiously, doing all they can to hide their presence. Odd leads them through the base, guided by his catlike instinct and sense of direction: they need to find the supercomputer. The task won’t be all too simple: all the people in the building are XANAfied. They make strange discoveries, notably spiders that have been mutated to grow as big as a small child. The heroes don’t worry too much about these spiders, as they’re behind glass. On the other hand, when Odd makes a noise a XANAfied scientist appears to block their way, their new powers not giving them much of an advantage. The fight begins. 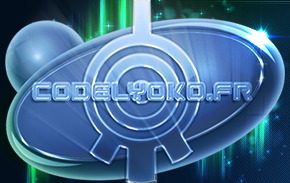 On Lyoko, the situation isn’t very good either. Ulrich makes up a mediocre excuse as to why he forgot her birthday that annoys Yumi. While Ulrich tries to reason, three Tarantulas approach from different directions, one of them carrying William on its large nose. Yumi charges at one of the beasts, Ulrich attacks the one carrying William. Throwing his sabre, he destroys it. He and William then engage in a new fight. Ulrich loses his Overbike. He fights well against William and manages to block his sword, disarming him. Certain of his success, he rushes at his rival, but the XANA Warrior surprises him: he quickly changes his giant sword into smoke, brings it back to him and reforms it into his weapon, which Ulrich impales himself on. William can now go after Yumi, who is going it alone finishing off the two Tarantulas threatening the Skidbladnir. In the laboratory in the forest, Odd discovers that fighting a XANAfied person isn’t as simple as fighting William. The scientist catches his laser arrows with his bare hands and throws them back. Odd receives one to the shoulder, which makes part of his body go fuzzy. The man then turns to Aelita. 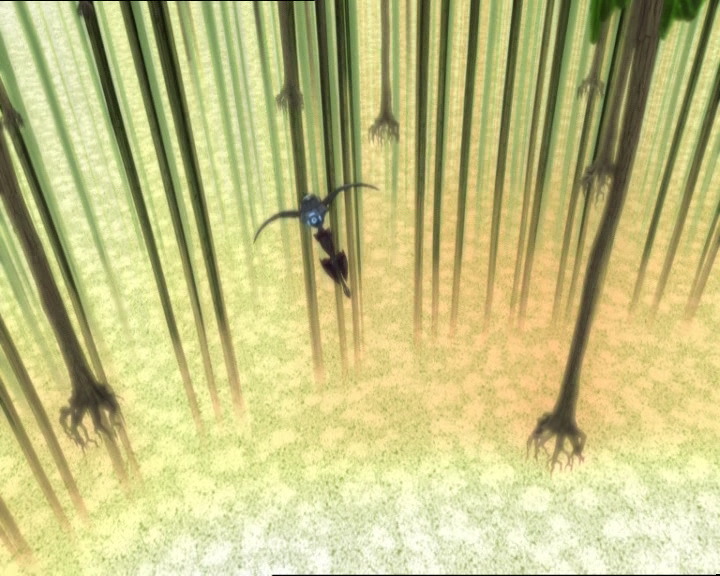 She tries to protect herself with an energy field, but it gives way under the pressure and Aelita is thrown backwards. 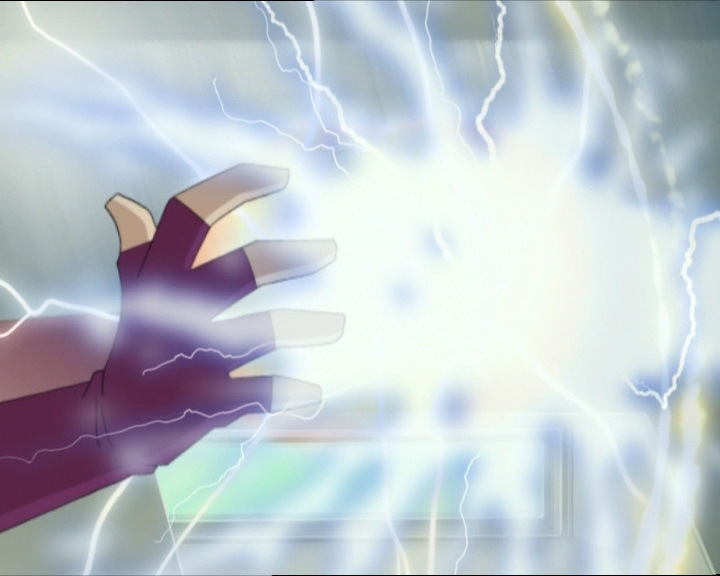 Luckily, Odd distracts the XANAfied man with a metal bar, allowing Aelita to knock him out with an energy field, just long enough to lock him in a room. 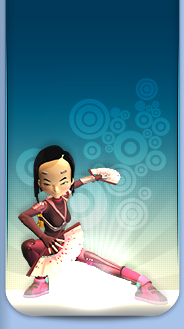 On Lyoko, Yumi fought valiantly against William, but he dodges her fans. The Japanese girl tries to surprise William: she gets her weapons back and throws them again. Imperturbable, the XANA Warrior catches them and turns them to smoke. Yumi dodges William’s powerful blows, waiting for new fans from Jeremy. They don’t arrive until the moment when William devirtualises Yumi. The XANA Warrior is then able to enter the tower and enter the Code XANA, changing the tower’s green halo to red. 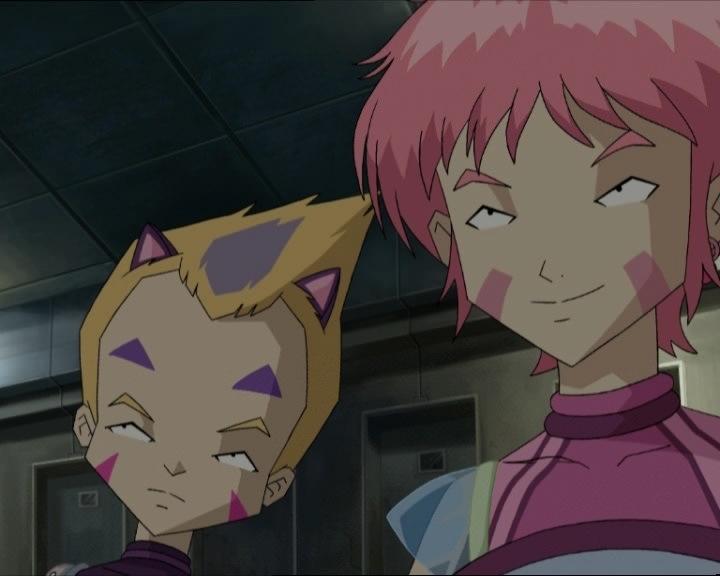 The link with the Skid is interrupted, sending Aelita back into the vessel, before they were able to finish their mission. The two Lyoko Warriors have nothing left to do but escape in their submarine, under Tarantula laser fire and William’s victorious gaze. Back in the factory, the heroes question XANA’s activities in the laboratory. They’re all in agreement that the supercomputer in the Amazonian forest must be destroyed. Odd consents to it, but only after he sleeps for a few years. On the bridge, Ulrich gives Yumi her present, and she forgives him. However, at Kadic, Odd discovers that while unwrapping a present meant for Kiwi, he finds a pretty necklace meant for Yumi inside… In her room, the Japanese girl tears open her present and takes out a plastic bone…that squeaks when you squeeze it! - Attack: Possess scientists in a complex in the Amazon rainforest in order to take part in the experiments on the big, tropical spiders. -The towers of the Replikas can be activated by XANA or Jeremy. When William logs into the interface of a Replika tower, Code XANA is quickly entered. The Replika is not destroyed, but the tower falls under XANA’s control and ends the Teleportation. -First usage of the Teleportation by connecting the Skid to the tower of a Replika. The Teleportation has a limited amount of time. -First appearance of the cybernetic spiders that are at the center of the following episode. -Discovery of the Amazon laboratory, and the Supercomputer room that generates the Forest Replika. - First episode in which William rides a Tarantula. - First time Jeremy reprograms Yumi's fans. - Third time Yumi uses her telekinesis on her fans. - Aelita doesn't remember her birthdate. - In this episode, William destroys Yumi's fans by catching them and then using Supersmoke. - According to Yumi, in Japan when you receive a gift you never open it in front of the person who gave it to you. She says she celebrates Ulrich's birthday every year. - The factory microphone disappears from Jeremy's ear when he tells Yumi it's not easy to reprogram her fans. - During the Teleportation, Aeltia's earring is on the wrong ear at the moment when she says “You really think so?” to Odd. - The attack in this episode is neither countered nor launched. 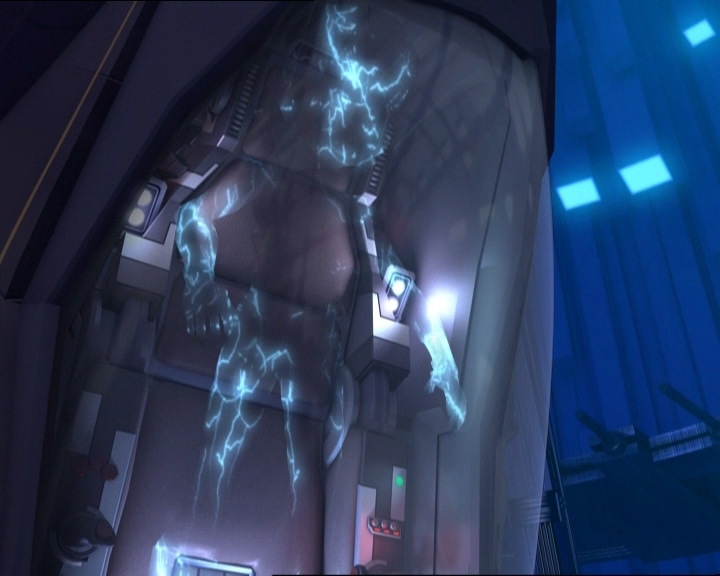 The heroes must go back to stop the attack in the next episode (this is the first time such an event happens in the series, excluding the prequel “XANA Awakens”). 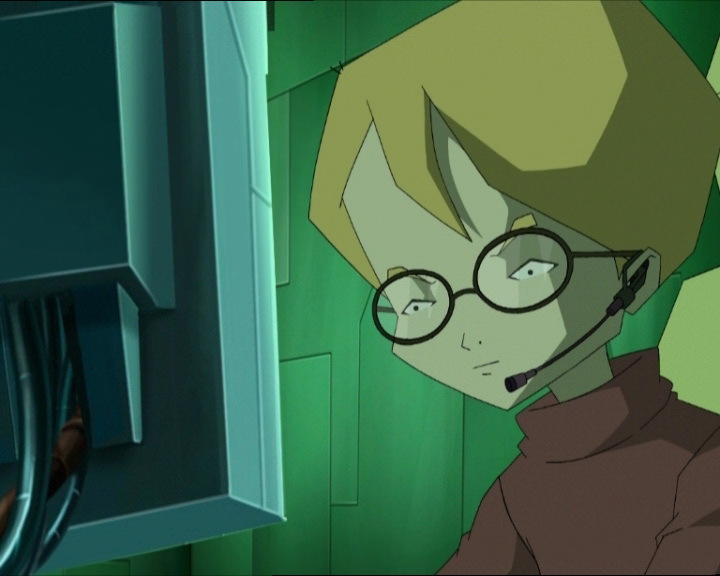 - Only episode in which William enters the Code XANA to nullify the heroes' Teleportation. - First mention of Teleportation (Translation in French). - First mention of mooring the Skid. - First tower activation in the Forest Replika. - First appearance of a second Supercomputer. It's in Amazonia. - Final use of the Code XANA. - Second time William enters a tower. - The access code to the Forest Replika has changed, in episode 73 “Replika” it was 43155, now it's 79669. The objects listed by Jeremy are thought to bring good luck charms for whoever has or finds them! Odd: What’s the big news? We can’t wait to hear it! Jeremy: I found it, at last! Odd: What, how to build up your muscles without any exercising? Jeremy (annoyed): Funny. No, I figured out how to materialise you onto Earth from the network. Odd: After all this time I’m finally starting to get the hang of swampum physics! Odd: Yeah, well it’s still muddy though! Yumi: Hi guys, what’s up? Aelita: Are you ready to go and blow up a supercomputer? Yumi: You can get us to the real world from the network? Jeremy: Yeah, we’re all meeting at the factory tonight to try it out, ok? Ulrich: Uh, Yumi? I wanted to ask you something. Yumi (ignoring him and walking away): Hmph! Jim: Stern, how many times do I have to tell you that a flounder is not a flying fish? So there’s no reason to throw it at the window, especially when the window is open, and when I happen to be there! So I’ve got one word for you, and that’s two hours of study hall! Ulrich: You’re making a mistake, I swear to you, Jim! Jim: Well Stern, you’re right. This time, I did make a mistake. It’s not two hours, but four hours of study hall! And if you keep baiting me, I’ll make sure that you don’t get off the hook for eight hours! Odd: No sweat! I gotta go get a few things for Kiwi, and while I’m out, I’ll pick up a little present for Yumi! Ulrich (grateful): Really? You’d do that for me? Odd: Yeah, sure! Besides, I owe you one. In case you didn’t know, the flying fish thing was me. Ulrich (annoyed): IT WAS?! And you let me take the blame?! Odd: I-I was laughing too hard to tell Jim! Ulrich: Oh Odd, you know I oughta…! Jeremy: Ok guys, it’s time. Ready for Teleportation? Ulrich: Ready to go, Einstein! Ulrich: It didn’t work, Jeremy, I’m still here! Jeremy: That’s normal. 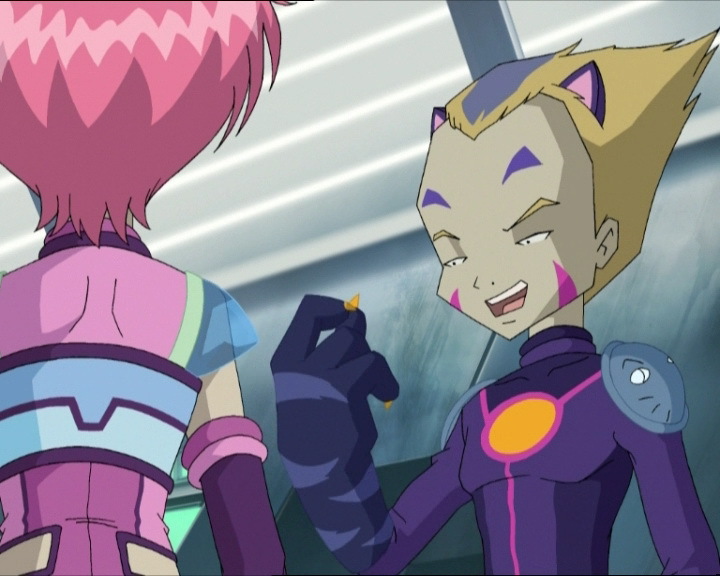 I forgot to tell you that this time I decided to only energise Aelita and Odd. I’d rather you stay with Yumi to protect the Skid, if it’s anything like our last experiment, XANA will be sending you a welcoming committee in no time flat. Ulrich: If you’d have told us before, we could’ve chosen sides ourselves! Odd: COOL EINSTEIN, IT WORKS! Jeremy: Ah! Glad to hear it, but that’s no reason to blow out my eardrum! Ok, where are you? Odd: You’re not gonna believe this, but we’re in the jungle! Aelita: And it’s daytime here! Jeremy: I get it, you’re in a different time zone. You’re in the Amazon region, it seems. Odd: But we’re dressed like on Lyoko, how come? Odd: Whoa, whoa, slow down, Frankeinstein. Are you trying to tell us that we’re not really us? Jeremy: Yes, you’re you, but those aren’t your real bodies. More like some kind of spectres in the image of your virtual manifestation. Odd: Aelita and I have become spectres? Jeremy: If you say so. It doesn’t matter. For now, hurry up and find the supercomputer. The Teleportation won’t last forever! Aelita: How long have we got? Jeremy: Uh…52…no, 26…no, uh, 13…uh, 13 minutes! Odd: The guy’s a comedian! And just where does he expect us to find a supercomputer, behind a tree?! Yumi: That’s because I never ever forget it! Ulrich: I’ll take care of handsome. Ulrich: Fighting William should put me in a better mood! Odd: What’s this, huh? A supermarket display for…office plants? Uh-oh, guess not! 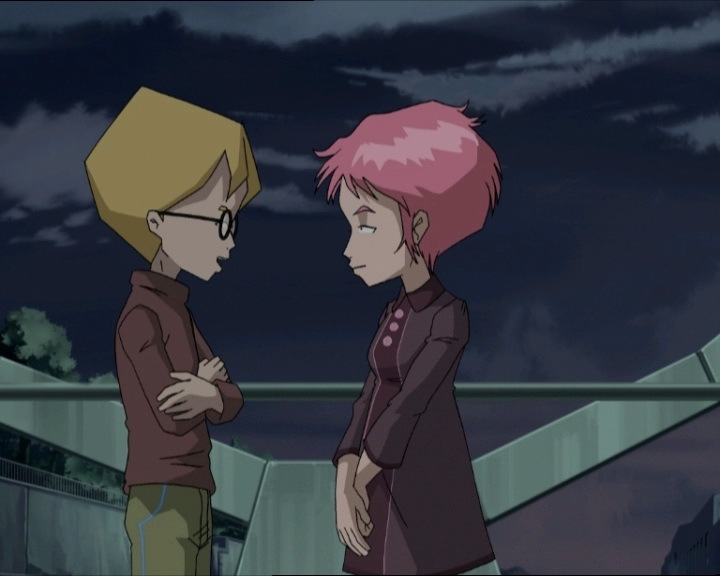 Jeremy: Aelita, Odd, hurry up and find the supercomputer. Yumi and Ulrich are busy fighting off a bunch of Tarantulas! Odd: Funny, their cousins are right here! Jeremy: What are you talking about? Odd: Uh, nothing, Jeremy. Aelita, what do you make of these souped-up spiders? 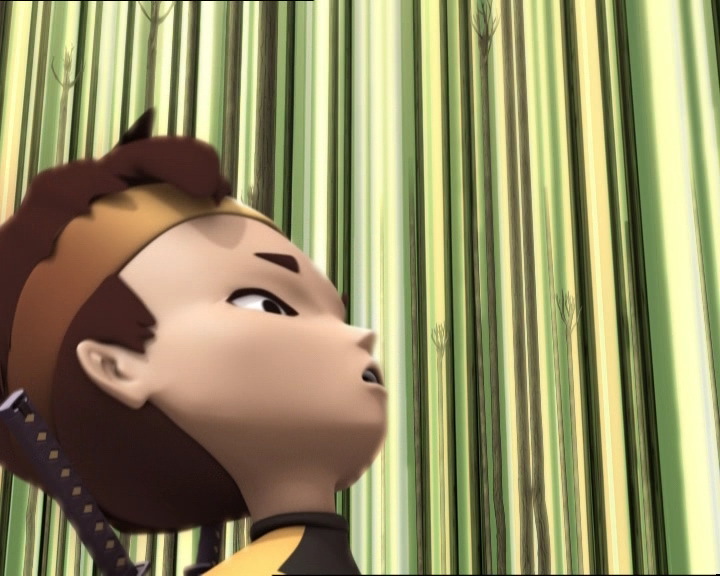 Aelita: I’d say that XANA wants to transform these tropical tarantulas! Odd: But for what? Spiders don’t attack unless you sit on them! Odd: Ok, ok, don’t look at me in that tone of voice! Ulrich (to himself): What an idiot! Yumi: Not so fast, pretty boy! Yumi: Jeremy! Mayday, SOS, I need two more fans like, right now! Jeremy: Uh-oh, “right now” is a pretty tall order, Yumi. But ok, let me see what I can come up with! Odd: Here we go, back in your cage now! Odd: You’re a great spectre! Aelita: You really think so? Odd: Well no medals just yet, Princess. We still have to find the supercomputer! Jeremy: You wouldn’t have a rabbit’s foot, a four-leaf clover or a horseshoe on you, would you? Ulrich: Is it as bad as all that? Aelita: Infallible sense of direction, huh Odd? I was positive that we should’ve gone in the other direction! Odd (grabbing her arm): Hold on a minute. Bingo! Aelita: Jeremy, we’ve found the supercomputer! Jeremy: Great, you’d better destroy it right away, ‘cause Yumi can’t hold on much longer! Odd: Oh no, an entry code…why not a couple of guard dogs too? Aelita: Let me handle it. Aelita: Now we’ve gotta get rid of this thing for good! 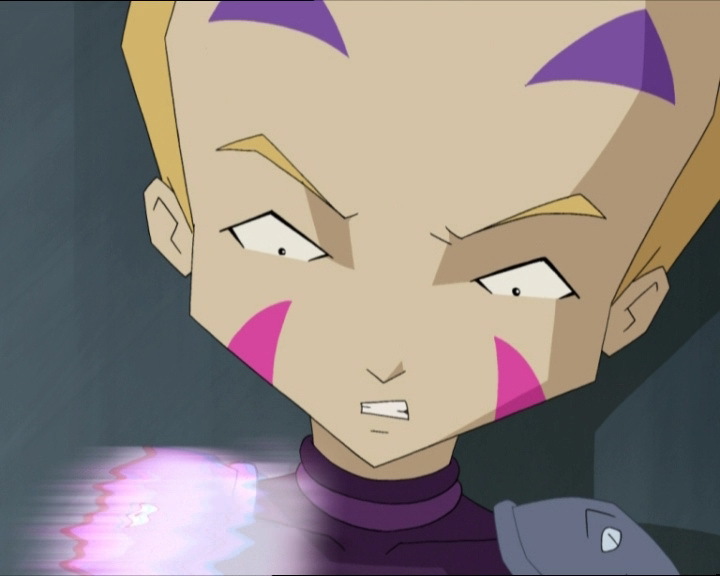 Aelita: Jeremy, we’ve got a problem. The supercomputer has an energy field around it! Jeremy: You’ve gotta find out where the shield is getting its energy from. I can’t do anything from here, do what you have to, but hurry up! Yumi: Jeremy, it’s now or never! Yumi: Oh Jeremy, I’m really sorry! Jeremy: XANA has taken over control of the tower, you guys. Your Teleportation has been stopped. We’ve gotta abort the mission, we might as well come back home. Wake up, Aelita! Jeremy: Spider-man and company have just arrived! Aelita: Maybe, but we’ve still gotta find out what XANA’s planning to do with those cybernetic spiders. Jeremy: Right. We’ll have to go back onto the Replika, Teleport you back in, and destroy that supercomputer! Odd (yawning): That’s fine, but until then, anyone mind if I sleep for a few years? Yumi: Ok, we get the message. We could all use a little sleep! Ulrich: Here, a birthday gift. Ulrich: Aren’t you gonna open it? Yumi: In Japan, you never open a present in front of the person who gave it to you. Ulrich: Well that’s fine with me! Jeremy: I bet you’re thinking about your own birthday. Aelita: Well yeah…it-it’s one of those things I still don’t remember. I haven’t any idea when I was born. Jeremy: No problem! All you have to do is make up a date, Aelita! Aelita: Why don’t you choose one for me then? Jeremy: Uh-uh, I’m not telling! It’ll be a surprise! Odd (impatient): Hey, are you guys coming or not? Hurry up before I fall asleep on this bridge! Ulrich: Yeah, we’re coming, no need to wake the whole town up! Odd: Who’s the pretty present for, huh? Who’s it for, my little diggety dog? Ulrich: Hey Odd, thanks again for Yumi, you really saved me this time! Odd: Oh, no sweat! (Seeing that he has the present for Yumi) Mmm! Ulrich: Pretty classy collar, but don’t you think it’s a bit too much for a dog?